When I grow up, I want to write like Jan Morris (IF I ever grow up, that is, because age-wise it happened long ago). Seriously, Morris's writing makes my jaw drop. Where the hell does she take all those words from?? I know they exist all right, but the only other place where you can see them written is a dictionary, and you never hear them spoken at all. If there was such a thing as a wordsmithing guild, she would be the Ultimate Grandmaster. I am yet to come across someone with more colourful, richer vocabulary than hers and I'm seriously wondering if I ever will. If you want to improve your brain (or language! ), Jan Morris is better than crossword puzzles. Hong Kong is a curious marriage between history and travel writing. Morris is a travel writer, first and foremost, but in this particular case she's not rushing around, but analyses the eponymous city now and in the past. 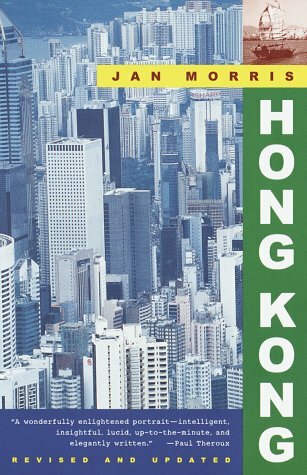 My edition ended in 1996, a few months before the Big Takeover (Hong Kong returning to China's possession after more than a century of British rule) - I'm guessing the updated edition goes further than this, but I can't be sure. Snapshots of various periods in the past are broken up by pictures of contemporary Hong Kong, so you get both history and present, but you don't get bored. The result is rather delightful (even if your brain steams a bit). History told by scholars tends to stay on the dry side, while a travel writer is specifically qualified to bringing remote geographical spots to life (should be, at least, if he or she is a good travel writer). As I've said elsewhere, I'm not a total fan of Morris's writing style - she's a self-declared romantic, and I am everything but - still, quality quickly conquers such minor obstacles. 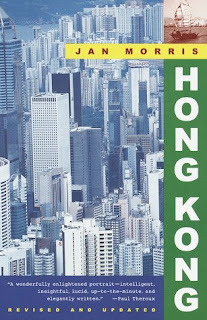 Whether you want to learn more about the Far East or simply savour some damn good writing, I can honestly say that Hong Kong is worth your time.